Does every musical genre boast “fathers,” “grandmothers” and “kings?” Sure, pop has its legends, classical its masters, and funk, “the hardest working man in showbusiness,” but if the esoteric wasteland of academia follows suit, then acoustic ecology has Raymond Murray Schafer. 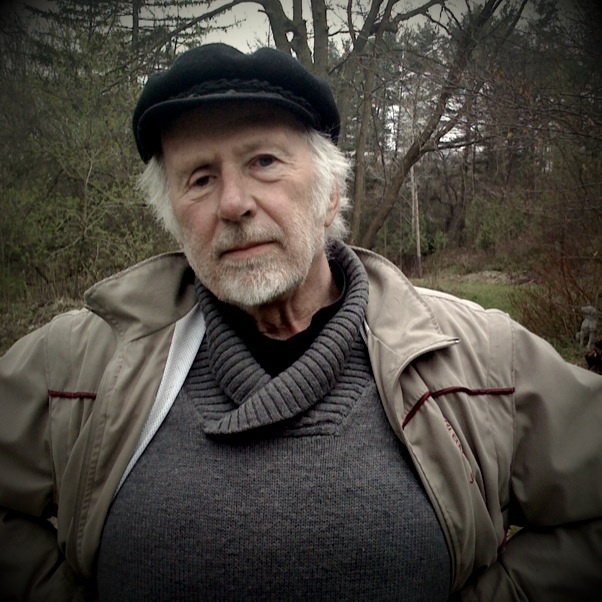 Born in Canada in 1933, R. Murray Schafer is a man in tune with the natural world. His sound theories synthesize the ideas of composers like John Cage and Erik Satie with ecological concerns. Equal parts composer and sound conservationist, Schafer coined the term “soundscape” in his classic book The Tuning of the World (1977) and pioneered the field of sound ecology at Simon Fraiser University in Vancouver, Canada in the 1960s. 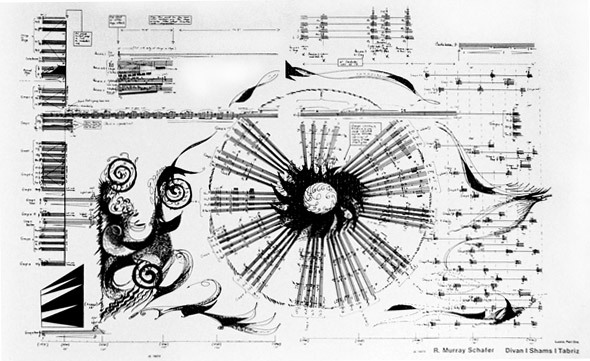 His graphically notated compositions are naturalistic and strikingly beautiful on the page like those of George Crumb. The score for “Divan / Shams / Tabriz”, for Orchestra, seven singers and electronic sounds. This entry was posted in Issues, Miscellany and tagged acoustic ecology, composition, experimental, nature. Bookmark the permalink.